Prominent & Leading Manufacturer from Mumbai, we offer stainless steel work bench, stainless steel bench and cross over benches. 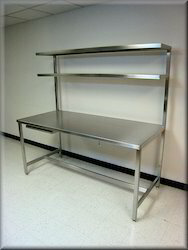 Owing to the presence of our expert team members, we have been able to manufacture and supply a wide range of Stainless Steel Work Benches. These are available in various styles, designs, finish and patterns as per the demands of clients. Our benches are very appealing in look and admired for their rugged construct. We are manufacturing Stainless Steel Bench for garden and waiting for a hall for airport and railways and bus stand. We are manufacturer of Stainless steel bench Welded construction with grade 304 stainless work surface; fully assembled with plastic floor protection feet. 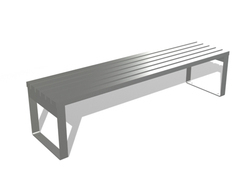 Keddy Concept is the leading manufacturer and supplier of all type of Cross Over Benches. We provide quality products to our customers as per their requirement at competitive rate.